What Happened to Datel’s Advance Game Port? What happened Datel doesn’t sell their Advance Game Port for the Game Cube anymore. I heard people complaining that Nintendo’s own GBA player for the Game Cube doesn’t work with the Wii because it has screwed to the bottom of Nintendo’s last console, and the Wii doesn’t have the same ports. So why is their no Advance Game Port? 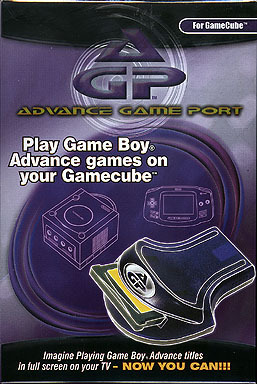 The Advance Game Port only needs a GameCube memory card slot B, which the Wii has. So what happened, you can’t find it at Datel’s site, nor at any game store? This entry was posted on Sunday, June 3rd, 2007 at 10:53 pm and is filed under Nintendo. You can follow any responses to this entry through the RSS 2.0 feed. You can leave a response, or trackback from your own site. Woah your blog is wonderful i favor looking through your content. Carry on the best perform! You understand, lots of people need all over due to this info, you could possibly encourage them to significantly. Professional Towing Services For Fast And Easy Towing Solutions In Your Town.What other towing company give you a deal like this before you’ve even called in an emergency? Whether you need a wheel lift tow truck or a flat bed, you can always expect to get what you need at an affordable price. Some of the other services that they offer are car towing, long distance towing, towing Service, SUV towing, motorcycle towing, automobile towing, tow truck rollback, equipment transport towing and more. It doesn’t matter whether you’re locked out of your car, flat tire or your car just won’t start. we got your back, call us today.